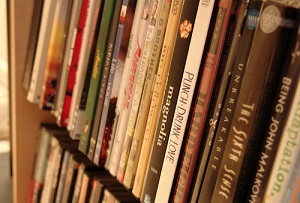 The ecommerce giant now sells almost a quarter of all films, games and music in the UK. If Tesco's embattled chief exec Dave Lewis was hoping that a Christmas rush for the latest Xbox hit would do anything to improve the supermarket's fortunes, he might want to think again. Amazon is now the UK's biggest seller of films, games and music after its market share jumped to 22.5% from 17.6% a year ago – knocking Tesco from the top spot. Supermarkets have all suffered this year as more and more consumers armed with smartphones and tablets have headed online. Tesco's share fell the most - from 20.6% in the three months to September last year to 15.1% for the same period last year, according to Kantar Worldpanel. Asda's fell from 14.4% to 11%, Sainsbury's fell from 7.9% to 7.2% and Morrison's from 3.4% to 3.2%. '[Amazon's] success bodes well for its Christmas performance where it will be trying to capture spend from the 18.6 million consumers who will be shopping for entertainment products in the run up to the festive season,' said Kantar strategic insight director Fiona Keenan. The news piles the pressure on to Tesco, which is under investigation by the Serious Fraud Office amid falling sales, profits and market share. Last month, Kantar Worldpanel data showed that Tesco's share of supermarket sales had fallen by 1.5% to 28.8% as discounters Aldi and Lidl snapped up more customers.